Are you searching for a great fundraising idea? 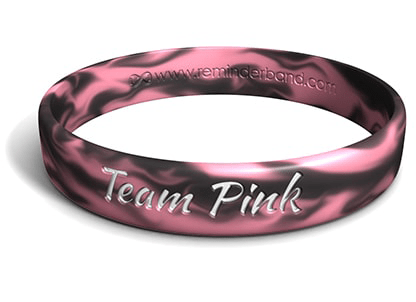 Reminderband Fundraiser Bracelets are inexpensive, quick to order, and easy to design with our fun wristband builder. You will get high quality custom silicone wristbands that people love for a price that gives you room for 100%+ profit. Spend $125 for 200 fundraising wristbands. Sell those 200 wristbands for $2 each for a total of $400. Your net profit is $275. You've more than doubled your investment. The cost is low enough that most people can afford the $2--particularly if it is a good cause. *For more accurate pricing, use our Fundraising Calculator below. Fundraising Calculator. Use our Fundraising Calculator to see how many wrist bands you need to buy to reach your goal. Experiment with the sales price. The calculator uses our most popular Classic wristband to come up with estimates. Join thousands of others who have sold Reminderband’s colorful fundraising bracelets to raise money for their school, charity, club, mission, church, team, or cause. People in your community will love the personalized, unique wristband and will pay double or triple your cost to get something meaningful that shows their support. Pricing is based on our most popular wristband (The Classic) and does not include shipping nor add-ons (such as second side fee or color fill).